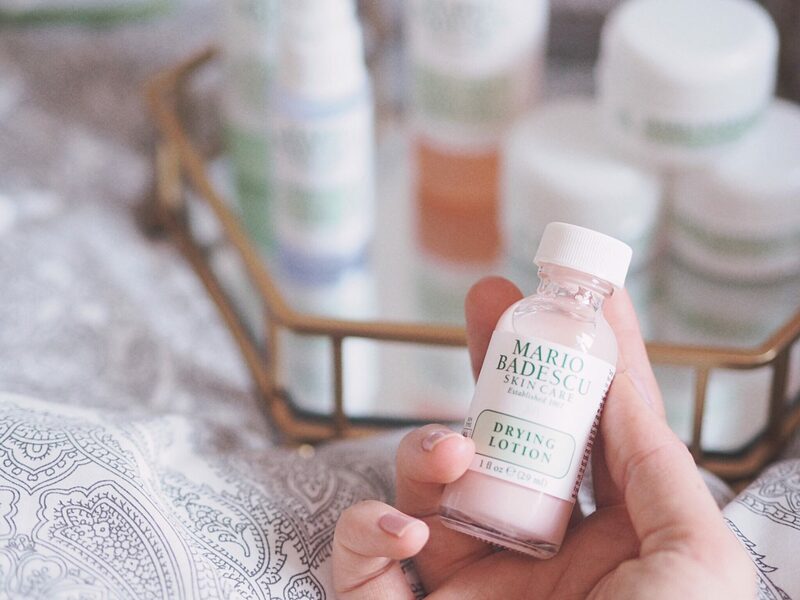 Ever wondered what Mario Badescu skincare products were like? I’ve put quite a few in the range to the test and have reviewed them each below! One word to start you off – SMOOOOOOTH! If you haven’t heard of Mario Badescu then I think you need to read on. The brand has been going for 40 years and is based over in New York. Mario Badescu is a specialist in the skincare industry with the products containing the highest quality ingredients with the best formulas. I’m not going to lie, my skin REALLY needed a pick-me-up, after all the blistery, stormy weather it got so dry, and my lips especially were all cracked and sore – anyone else know the feeling? I’d heard of this brand for a while, more specifically of the ‘drying lotion’ which I will go into in more detail later on, so I went ahead and treated myself to a few products from the range. I went onto Beauty Bay which is a site I knew sold Mario Badescu products and started having a browse. I knew I wanted to try out the drying lotion as it had been raved about by many fellow bloggers, but wasn’t sure what else to buy. I realised to get next day delivery for free (who doesn’t want to qualify for next day delivery) I had to spend £30 or more and with the drying lotion £16 anyway, I thought why not. This whole set is selling for £32 (perfect for my next day delivery ;)) so I added it straight to my basket. Celebrating with a limited-edition collection, The 50th Anniversary Edition Set with Drying Lotion and Facial Spray combines Mario Badescu’s bestselling and award winning essentials. Cleansing, treating and protecting, use together regularly to create a purified and healthily hydrated complexion. THIS ELIMINATES SPOTS – I bought this because I’d heard this literally reduces the size of spots in days, and although I don’t get many big spots, when I do I want them gone, quite simply. This treatment is used to refresh and repair complexions. This lotion includes Calamine and Salicylic Acid, Drying Lotion clears up and soothes unsightly whiteheads overnight (SAY WHATTTTT). This product is suitable for all skin types, and can be used on skin that is irritable and sensitive, causing no harm. This is a great product to relive acne, or any spot outbreak, in an easy, effective and harmless way. I have been using this for the past couple of weeks and have noticed a big difference to the smoothness of my complexion, and I definitely have less noticeable spots. Its a must-have in your bathroom! This is the BLACKHEAD remover! C ya blackheads – urgh I really do hate them. Those annoying, lingering little black spots that tend to hang about the nose area. This is a pretty cool product. You should use this 1-2 times a week, and you need to use it to create a paste/mask like texture. In the pot is some white loose powder and you simply get some and add water, then mix. This powder draws out oils, dirt and blackheads whilst smooths out pores! The best way to get the most out of this, is to exfoliate your face first then apply this! This is such a great product! I’ve only used it a few times as it’s not something you use daily, but I have definitely noticed a difference in my t-zone with the number of blackheads. 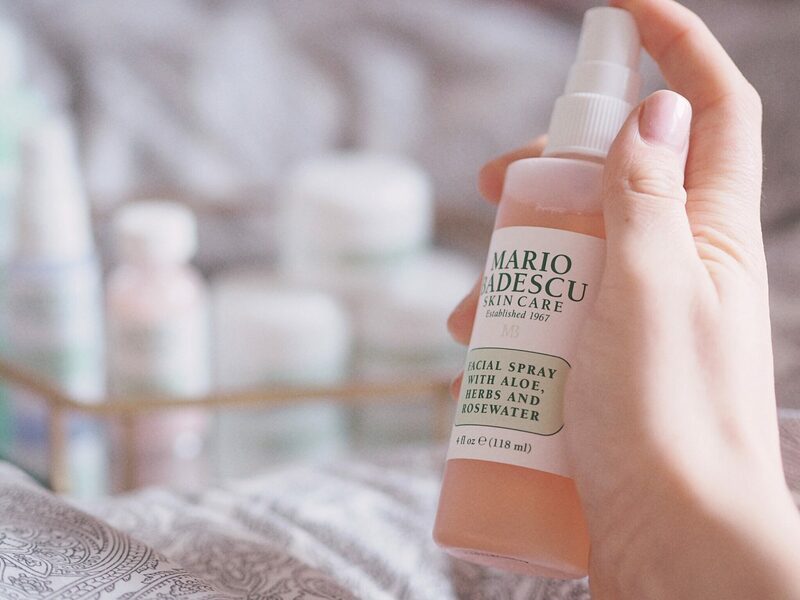 Firstly, it is the prettiest little facial spray ever – a lovely rose coloured water, that actually smells really decent as well. I love this product – it is so refreshing and because of the rosewater and the herbal extracts, it makes it so so nice to spray for a nice spritz. The thing I love about facial stray is that is instantly hydrates the skin, and I tend to get dry skin in the col months. Hello, where’s the sunshine now please!? So this is perfect to apply onto a full face of make up which helps keep your make up in place too! I think this has to be one of my faves from the collection. This made my skin feel and look so amazing even after one try! My skin has become quite bumpy recently and this completely helped to purify and smooth out the bumps from under my skin. It has a Kaolin based formula which extracts dirt and oil from the pores (just what we need) and it always smooths out any redness and irritation. I just applied a thin layer of this on my face (avoiding the eye area) and left it on whilst I soaked in the bath for 15 minutes, then rinsed it off. Highly recommend this! This is a great non foam gel cleanser which again leaves your face feeling very refreshed and hydrated after use. This is perfect for removing make up and any excess dirt on your face at the end of the day, and I think is less harsh than a liquid product. The cleanser includes Papaya Extracts are exfoliating Alpha Hydroxy Acids that help break down dulling build-up, leaving skin fresh and healthy. So that’s all I got in the collection and I also received a couple of other free product which included another lavender based facial spray, and a night cream which I have been loving, and this came with my order which was amazing! 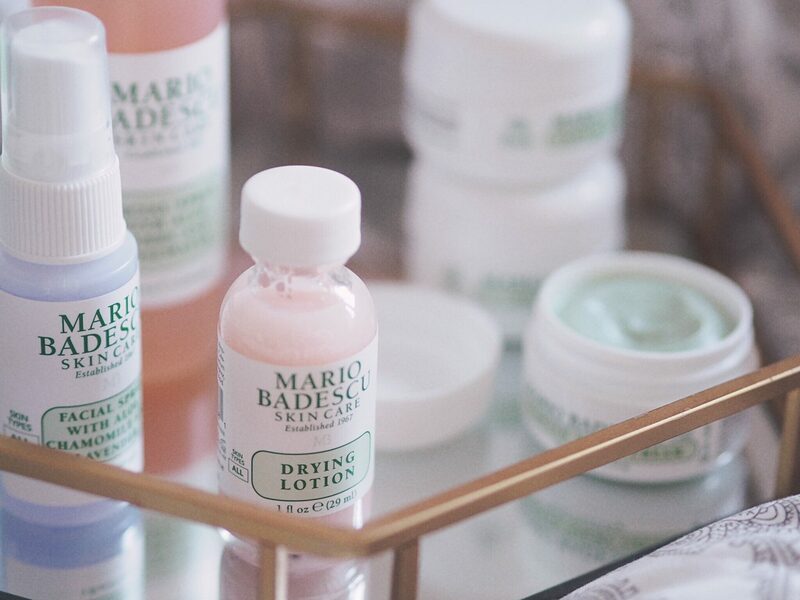 I would really encourage you to look on Beauty Bay at the Mario Badescu products as they have really given my skin some life recently. I can’t wait to try some more! I’ve heard really good reviews on this brand but yet to try it. Love the drying lotion, that one pops up on my insta feed a lot and sounds intriguing, I’d love to try it!